When Daffodils And Narcissi Flower You Know That Spring Has Arrived! 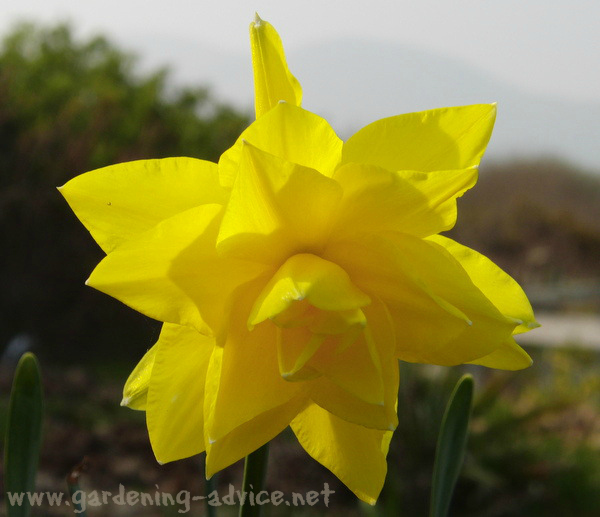 How to grow daffodil bulbs, care and the best daffodil varieties for your garden. 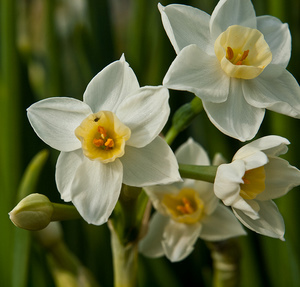 Plant Narcissus bulbs for great color in the spring! 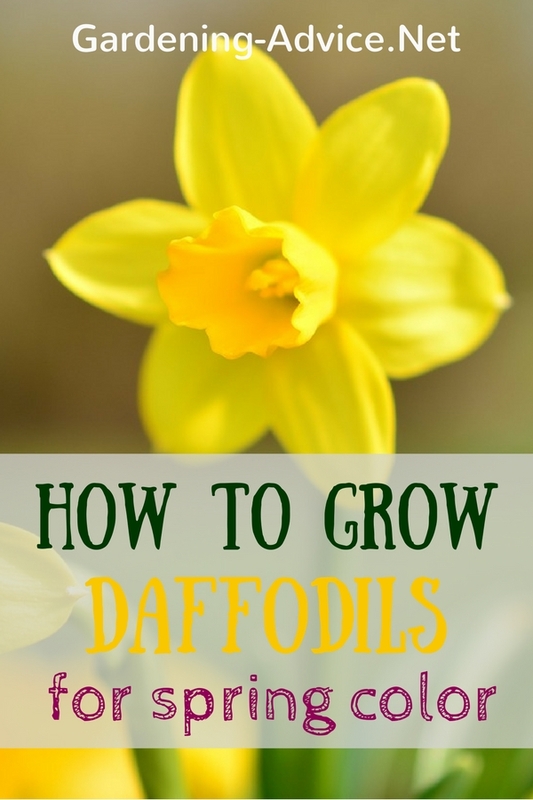 Growing daffodils is so easy and planting them takes very little effort! If you want to liven up your garden, daffs are a great option. 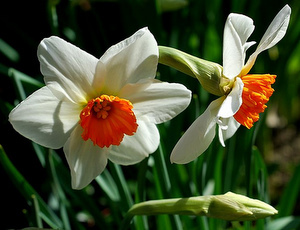 They produce narcissus flowers, otherwise known as daffodils. These cheerful and sunny-yellow flowers appear in the spring and brightly signal the coming of warmer weather. Daffodils are very popular flowers and are used as a symbol for friendship. People enjoy daffodils because they are cheerful, attractive, easy to care for and inexpensive. 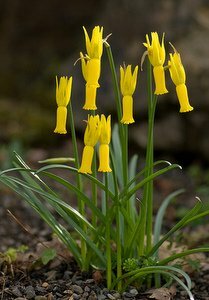 These bulbs grow best when planted in areas that get plenty of sunlight, but also do well when planted in shady areas. They grow best on top of hills or in other areas that have good drainage, and seem to grow better when they are spaced far apart from each other. 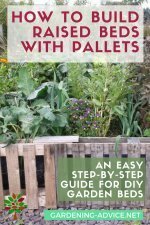 Growing daffodils does not require very in depth soil preparation, but you can do a few things to improve the quality of your soil. The most important part of preparing soil for daffodil bulbs is making sure there is adequate drainage. You also need to make sure that the soil you are using for planting daffodils is a well-balanced mix of clay, sand and organic matter. 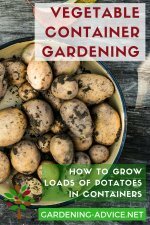 If you currently have heavy clay soil, you can add compost and coarse sand. 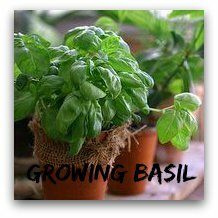 With sandy soil, you can add bark, peat moss or leaf compost. It is best to prepare your soil at least a month before planting your daffodils. A good rule of thumb for planting bulbs is that you should plant them three times deeper than the bulb height. For example, if you have a two-inch bulb, your hole should be six inches deep. 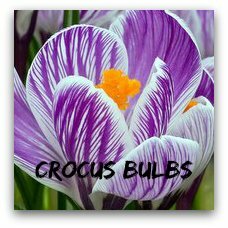 You will also need to plant your bulbs about three times the width of the bulb apart from each other to give them room to grow. A bulb planter like this can make the task a lot easier! 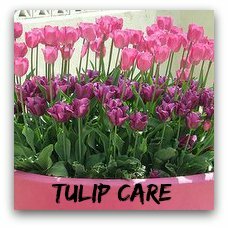 Check out this page to learn how to plant bulbs! 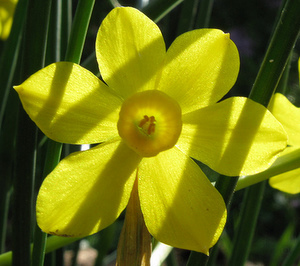 Fortunately, once you have planted your daffodils, you will have relatively little to do in the way of daffodil care. You may need to water your daffodils quite often during their growing season from March through May. 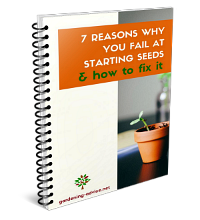 However, the rest of the year they won't need any watering, and only some a bit of fertilizer in the fall to replenish the nutrients that were lost during the last growing period. 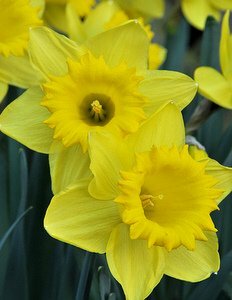 Part of what makes growing daffodils so easy is the fact that they are not frequent targets for pests and diseases. 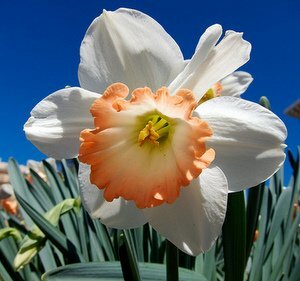 Daffodils are actually poisonous to most creatures, and probably the primary reason that pests stay away. Daffodils bloom in the spring, usually between March and May, depending on when winter fades away in your part of the country. 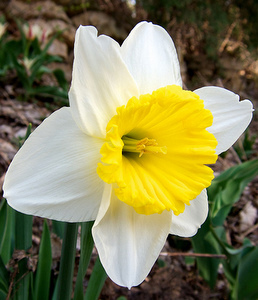 Color of their petal cups determines daffodil classification, with thirteen different classifications of daffodils based on the size, shape and number of petals and cups. The best classic daffodil with yellow flowers is the King Alfred daffodil. 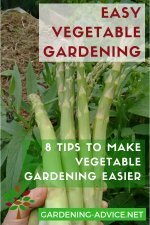 This variety is very easy and reliable. 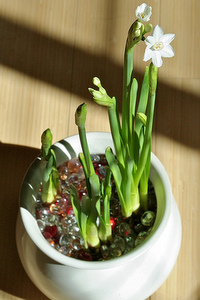 There are hundreds of different Narcissus flowers on the market. 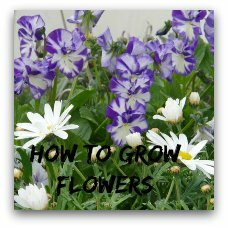 You can get filled flowers, scented narcissus, orange, cream or white flowers. Miniature daffodils are great for planting into containers, rockeries or small flower beds. Forcing daffodils is an easy thing to do. That way you can enjoy their color a bit earlier and bring a touch of spring into the house. 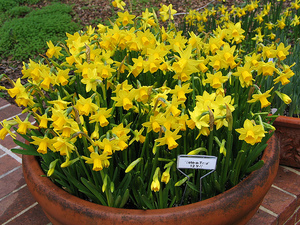 Plant the daffodil bulbs into shallow containers in the fall or in January. You can literally plant the bulbs side by side. That way you will get a very nice display. You can use regular potting compost for planting daffodils in containers. You can either keep those pots in a glasshouse or bring them into the house early in the year. Keep them in a bright spot that isn't too warm. A cool conservatory is a great place for forcing daffodils. I like to use miniature daffodils for this because they won't fall over as easy. 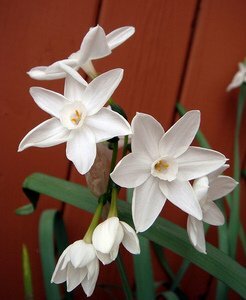 Scented Narcissus varieties like Narcissus 'Bridal Crown' have a beautiful scent which is particularly nice if you are growing daffodils indoors. If you live in the frigid north and by late winter find yourself longing for a touch of sun, consider planting daffodil bulbs next fall. Then next year, just as you start feeling the need for some color, out in the yard, bursting through that last little bit of stubborn cold you'll see a splash of sunlight.